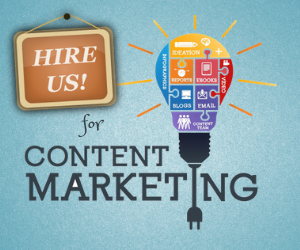 There are many CMSs available for a person to build their portfolio, blog or business website. But WordPress stands out from the rest and there are so many reasons for that. One of the best thing about WordPress is it comes with hundreds of plugins developed for every purpose. 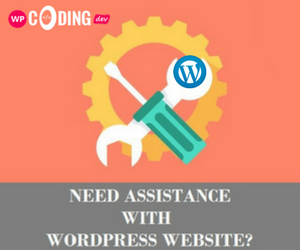 If you are setting up a new website and want to show a coming soon or maintenance mode page to your visitors, then there are WordPress plugins for that. These plugins display a page which not only looks professional but also encourages visitors to stay in touch. There are many plugins available for building a Coming Soon page but Minimal Coming Soon & Maintenance Mode plugin by WebFactory is the most popular one. It has positive ratings and reviews, recent updated date was only a few days ago, and had 60,000+ active installations. Using the “Minimal Coming Soon & Maintenance Mode” plugin, I easily pushed the coming soon page for my website within a few minutes. Earlier, I was wondering if the plugin will be compatible with my website theme or not, but to my surprise, it works well with all WordPress themes. If you are looking for first-rate results with minimal setup and no investment, then this plugin is for you. Another reason for which I liked the plugin is because of its simple and flexible working. I had the full control over the front-end of the site and modified almost every factor as per my preference. Moreover, it is fully customizable. I tried a number of background colors, pushed a cover image, and chose the fonts and logos to match my website. The background image I chose wasn’t covering the entire browser, but the plugin had the solution for it. It can be stretched easily. One thing that you need to keep track of on your website is the people who visit it. The plugin supports Google Analytics, so it felt good to analyze the number of people who visited my website even when it was on coming soon mode. During the coming soon mode, I still gained a number of subscribers as the plugin can collect emails with MailChimp. This plugin can be installed for free. But it is available as both free and premium. The premium version offers numerous features and advantages over the free version. I initially went for the free version and liked what it offered. After a few months when I took down my site to push some big changes to it, I went for it again to set up the maintenance mode. This time I went for the premium version to leverage full features as I now had more visitors than the initial phase. The premium version comes with more than 50 themes, 26+ filters for Instagram, and around 50 content animations. There are over 400,000 images available to choose from and use as background image. Additionally, there are SEO preview and analysis tools available with pro version. This is one of the most important aspect for a website. This made my website rank high on Google even when it was on maintenance mode. It is because the search engines viewed the normal website while visitors viewed the page I had set up. Support for WP Super Cache, Endurance Page Cache, SiteGround SuperCache, W3 Total Cache, WP Fastest Cache, and more. Support is critical with a plugin as things can go wrong any time. I didn’t face any issue with the plugin, but it provides support to the customers with a good response rate. Talking about the maintenance, the developers of this plugin update it frequently. When I installed it, the last updated time frame was only a few days ago. Also, it’s tested up to WordPress version 4.9.8, and supports PHP version 5.2 and higher. While there are several WordPress plugins for Coming Soon and Maintenance Mode for websites, I really enjoyed the experience with this plugin. If you are working on setting up your site and want to make the best out of your maintenance mode, then I think this plugin will be the most appropriate for you.